Gun laws never seem to make sense. Often times they are created by people who have never touched a firearm in real life, thus leading to wild rules that defy logic. This, of course, is something that has happened in Canada many many times — no less than the United States, one might argue. Back in the ’90s, a classification effort went through. Like all fun firearms bills, it decided black (rifle) lives do not matter. A large swath of firearms was unnecessarily classified into restricted and prohibited categories, often times inconsistently. So for things like the AK and its variants, the government decided they were just too scary for civilian ownership. The AR-15 and AR-10, however, were only deemed Restricted, meaning the only home it would ever know is your safe or at an approved range. Over the last few years, a couple of custom rifles sufficiently changed from the AR have been determined by the RCMP to be non-restricted. Those were custom guns, however, and not available in any large numbers. Then came the NEA 102. As you may recall from last year, there are several 102s to pay attention to here. The BCL 102 – reviewed here because I wanted a hunting gun that wasn’t restricted the same way ARs are. As you can clearly see, the 102 is nothing at all like an AR series rifle. The RCMP (the people who somehow have been placed in charge of firearms classification) decided that weapon was okay, eh. If you do a little more research and look at the different guns (what’s restricted and what’s not, I mean) and find it similarly quizzical to the BATFE’s stance on stocks and braces in the US, well…you won’t be the only one. If you are not from Canada you might not know that North Eastern Arms was bought out, becoming Black Creek Laboratories. With that purchase/reorganization came the name change from the NEA 102 to BCL 102 (along with a new logo). Note that there is currently a bit of confusion is going around about the 102 actually being the Catamount (another rifle, q.v.). More on the Catamount below. 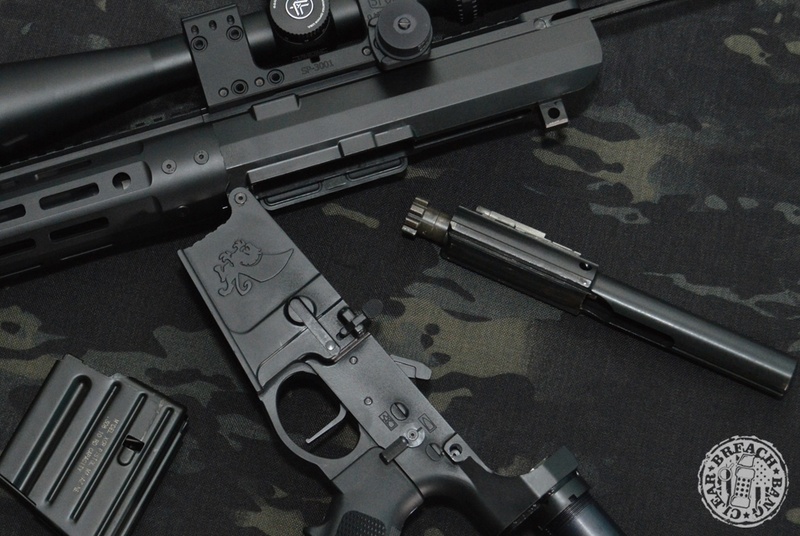 The BCL 102 is the latest iteration of the NEA 102, itself descended (after a fashion) from the Armalite AR-102. •They also changed the selector so that the right side is shorter, meaning it doesn’t hit your trigger finger (a change I appreciate). The bolt release is now ambi. *Yes we can spell brake, unlike a lot of gun writers and media people who spell it break…? The first thing we changed on the gun was the trigger. The stock trigger worked fine, but it was a standard mil-spec trigger that could easily be upgraded. That was an easy choice. I chose my go-to, another Canadian company called TriggerTech. 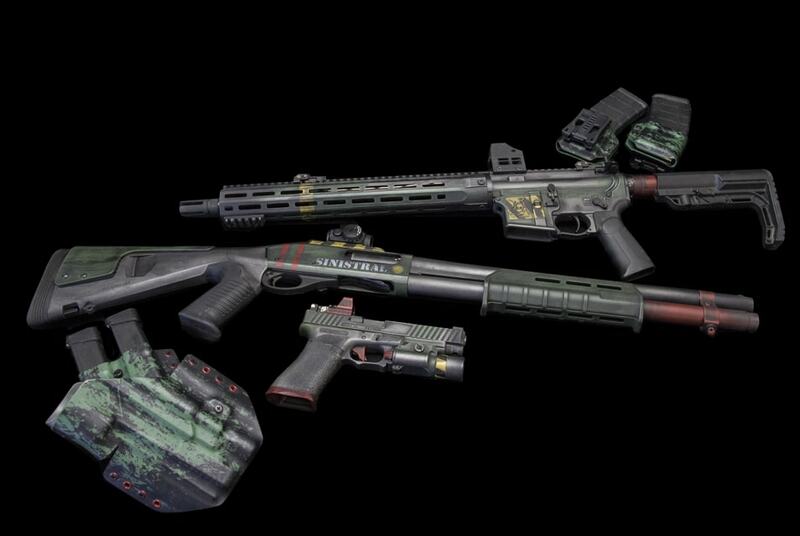 We have used their triggers in several other builds and for the price they are pretty hard to beat. They are easily adjustable, have a short take up and reset, and drop in without any real effort. 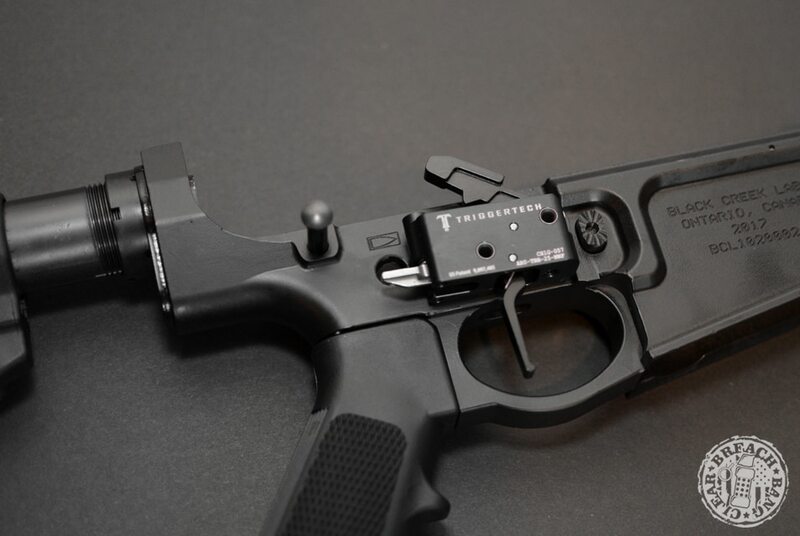 For the BCL, we went with the straigh black PVD Adaptable AR Primary Trigger. BCL 102 Review: My shooting setup including best three groupings using Norinco Copper Wash Surplus. I had no plans to set this rifle up for precision shootingn, nor for putting the best in terms of ammo through it. That’s what my bolt guns are for. My plan for this rifle has been (and continues to be) using it with whatever shot decent enough and was cheap. Some of it would be plinking ammo like the pile of Norc 308 we picked up from our friends over at CDNGunworx (who had the best price for it in spam cans). Optics wise, we stole our Vortex Viper PST 6-24 FFP from the Remington 700 just to get some rough idea on basic accuracy. That is just for the time being. It will eventually wear something like a 1-4x as the hunting out here is fairly short range due to the thick brush. 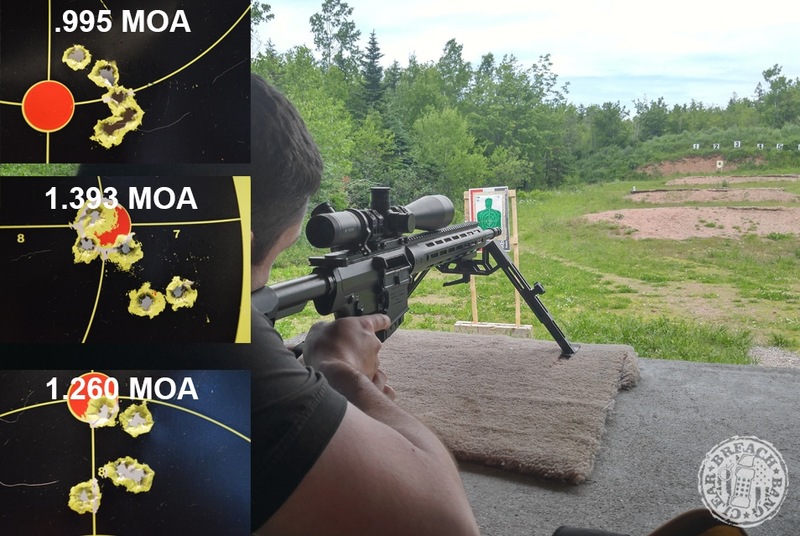 We were actually surprised to achieve less than MOA hits with surplus ammo — this means the rifle will shoot well, particularly if you feed it what it likes. We have seen groupings the 102 can produce with Federal Gold Medal Match so we know it can shoot extremely well if you want to spend the money. I, however, seem to shoot ammo too fast using a semi-auto, so I just don’t use the expensive stuff in it. When it comes to range outings and a semi-auto rifle, if it can fire soft point Remington then I am golden. 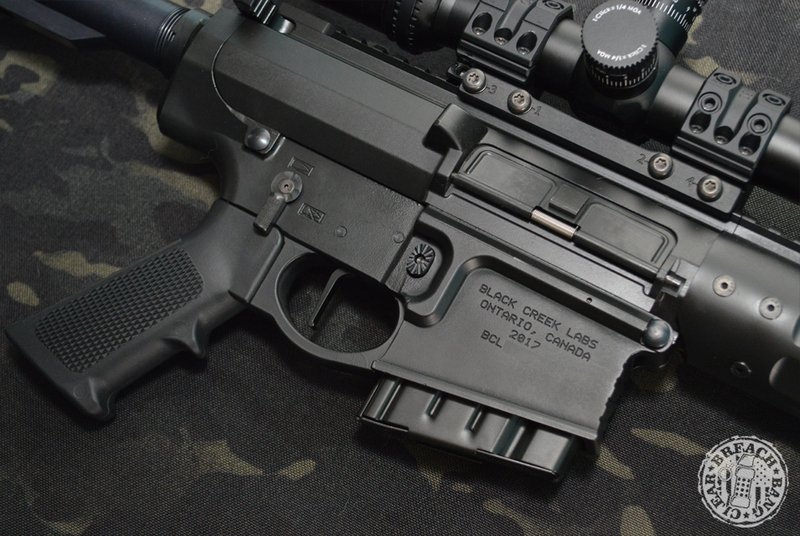 The BCL 102 seen equipped here with a shortened, Canada-approved version of the eternal capacity assault massacre magazine. Speaking of shooting, this gun has performed flawlessly to date. That is only 700-ish rounds thus far, but I’m happy with it. I’ve had just a single failure to fire thus far and that was ammo related not gun related. The brake performed well and kept the recoil impulse down. You can attach a brake shield to it if your neighbors at the range are annoyed by the concussion. The M-LOK handguard worked well for mounting the Mystic Precision MPOD I’d temporarily removed for doing accuracy testing. Should someone require additional options for mounting furniture/accessories, the handguard has a rail on the top section and M-LOK sections surrounding the rest of the rail. 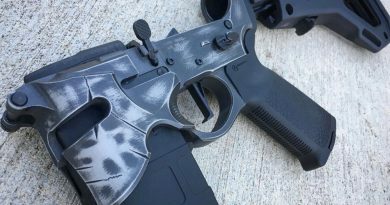 The BCL 102 charging handle on my rifle – you kind of want to sharpen it and throw it at criminals in Gotham City, don’t you? 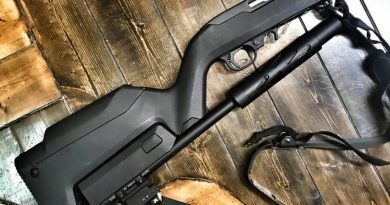 I applaud Black Creek Labs for making a firearm that can be used anywhere in Canada, and also for not just making the same gun that everyone else is making. BCL put a lot of time and effort into getting this thing right, and it shows. Not much time has passed since the version I own came out, but they’ve already taken a good gun and made it better. Listening to customer feedback and including things like ambi parts was a good call. Not only that but the price is right, but the gun is manufactured almost totally right here in Canada; my earlier version had some parts purchases from other suppliers, but the ones they’re selling now are built nearly exclusively in house (well, except for the occasional spring or machine screw). This is an excellent gun to put your Canadian cheek weld on. What I’ve reported thus far is obviously not the findings of a rigorous, test-to-failure review using tens of thousands of rounds and a lot sample of several guns. It’s just my initial observations as a commercial/casual user. Don’t take any single reviewers opinion. Get a cross-section and do your homework/due diligence before spending your money (regardless of what nationality and denomination it’s in). We look forward to where they take this platform. UF Pro – tactical apparel and combat uniforms for all sorts of fun activities! Now as to the initial confusion between the 102 and Catamount. That was likely caused by the release of a few ill-timed leaks. 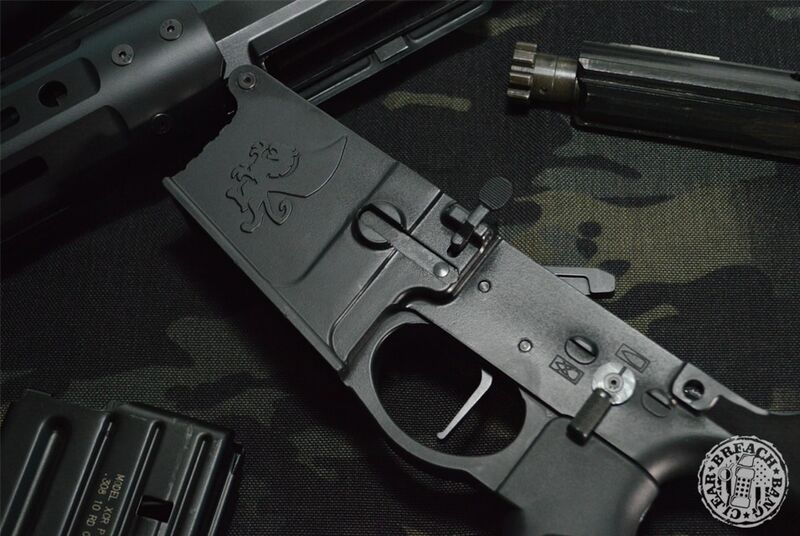 The BCL 102 in its current form is will continue to live as an affordable 308 semi rifle. The Catamount is a whole other beast entirely. BCL’s Catamount as a long stroke gas piston they claim to be capable of sub-MOA accuracy. Other changes will be a new precision trigger and a different stock that will be available for purchase for existing 102 owners. They expect the release to be sometime later this year. The BCL Catamount is a semi-automatic marksman rifle that is based on the attributes of the North American Mountain Lion. It is offered in .308 or 6.5 Creedmoor, which gives it the power to accurately hit targets at distances that a 7.62 x 39 or 5.56 NATO cannot reach. At just under 9 pounds, the Catamount is considered very light for an accurate semi-auto marksman rifle, which allows the operator to travel as efficiently as possible while moving through complex terrain. Both the .308 and 6.5 Creedmoor rounds can hit as hard as a mountain lion hits his prey and the 6.5 offers a more accurate, flatter shooting bullet that makes it even more lethal at distance. 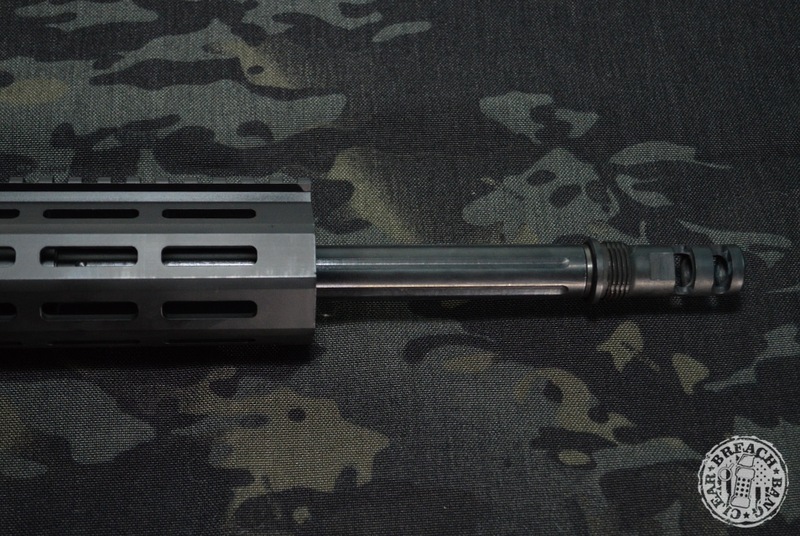 The Catamount is a unique rifle in that the rail mounting system creates a frame similar to a monolithic upper receiver “our dualithic receiver” as the rail bolts directly to the upper receiver without touching the barrel, the barrel nut or any other part that may affect barrel harmonics. Coupled with BCL’s adjustable drop-in trigger and match barrel, the Catamount is a platform where sub MOA groups can be achieved. 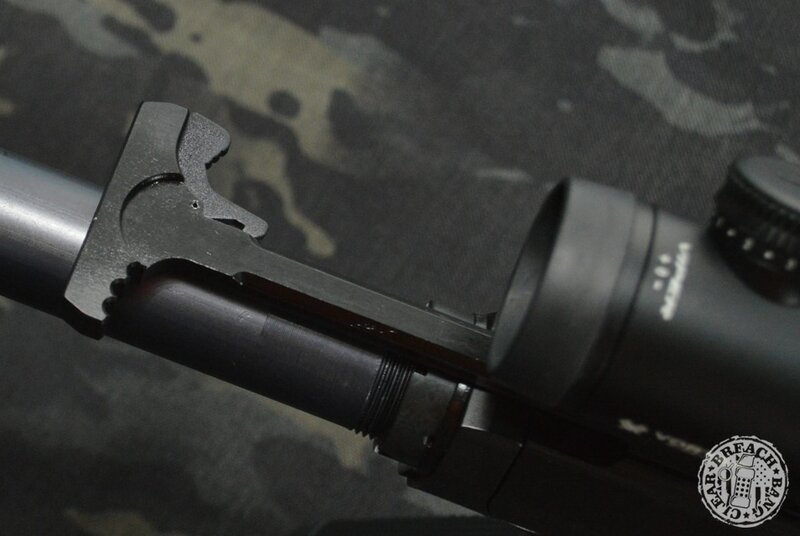 This rifle also comes standard with the BCL T-Block, an adjustable gas block for use with a suppressor or tuning for various ammunition loads. The traditional buffer and spring have been eliminated for BCL’s T-Spring, a tunable buffer and spring that allows the overall weight and spring tension to be tuned to specific ammunition loads. The Catamount is offered in multiple barrel lengths and carries a non-restricted status in Canada. Don’t worry, we’ll attempt to get our hands on one and provide an opinion. Learn more about the BCL Catamount: https://blackcreeklabs.com/portfolio_page/catamount/.